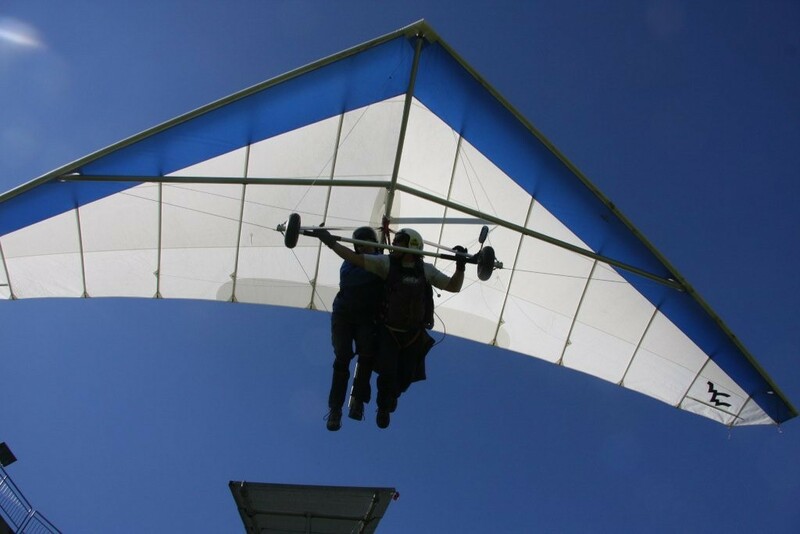 "Of all the ways a man can fly, Hang Gliding comes closest to what it feels like to be a bird." 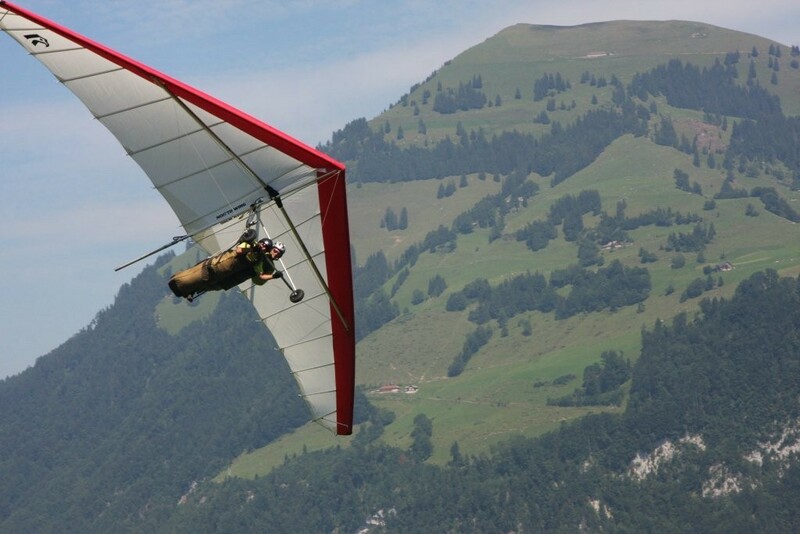 A few steps at take-off and an unbelievable and thrilling journey in the middle of the Swiss Montains starts. 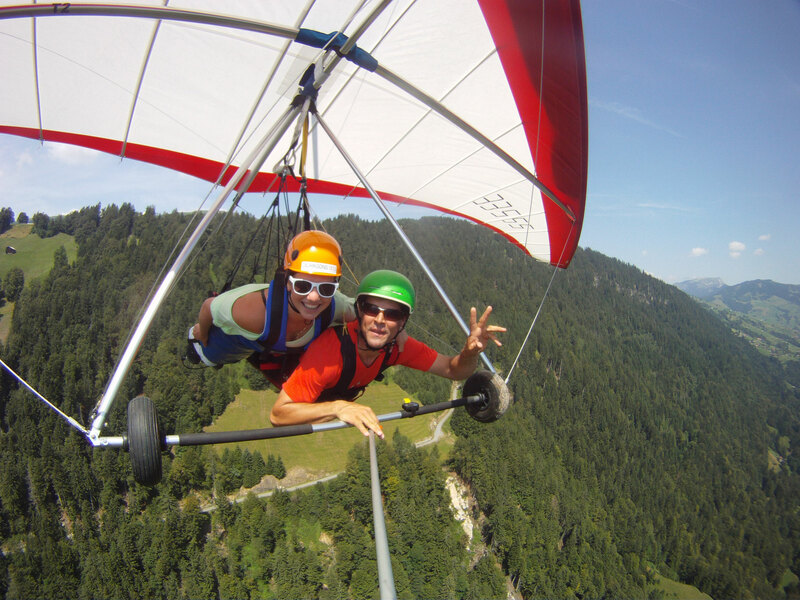 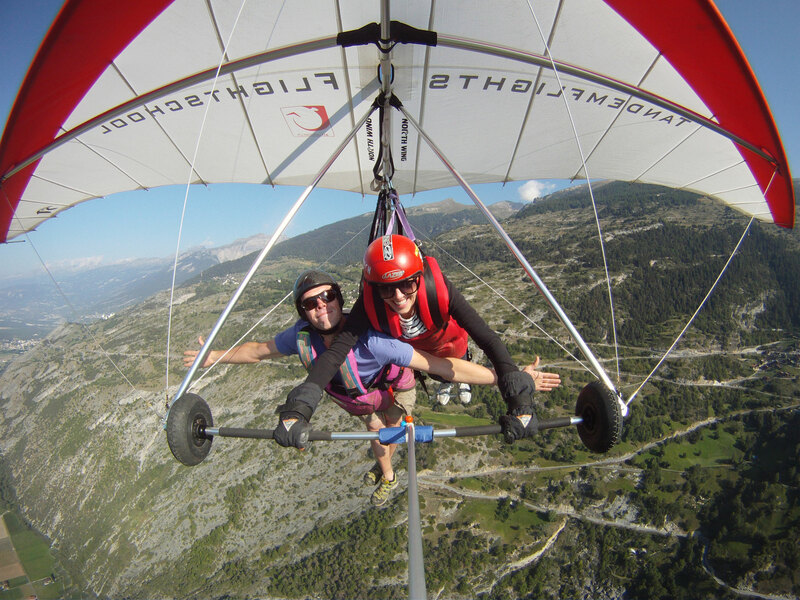 Enjoy nature by flying in the Swiss Alps, accompained by a professional Hang Gliding Instructor. 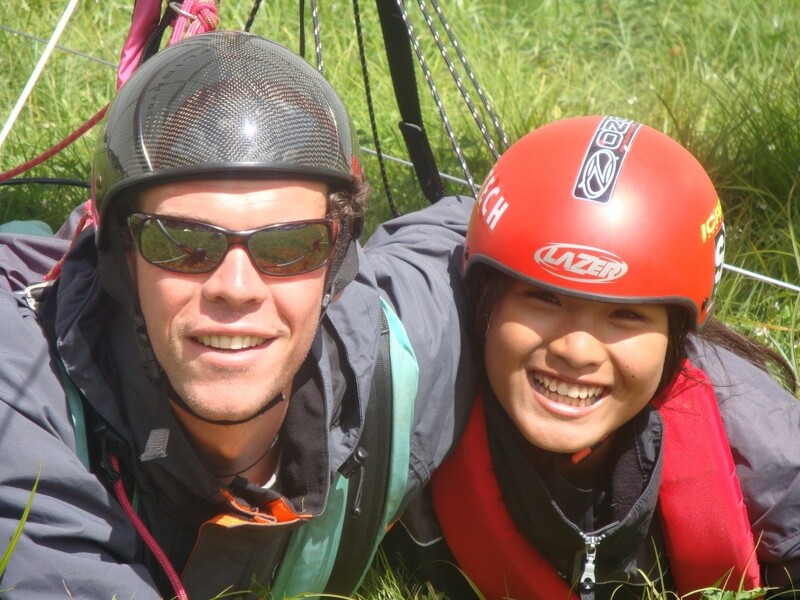 It is not necessary to have any previous experience. 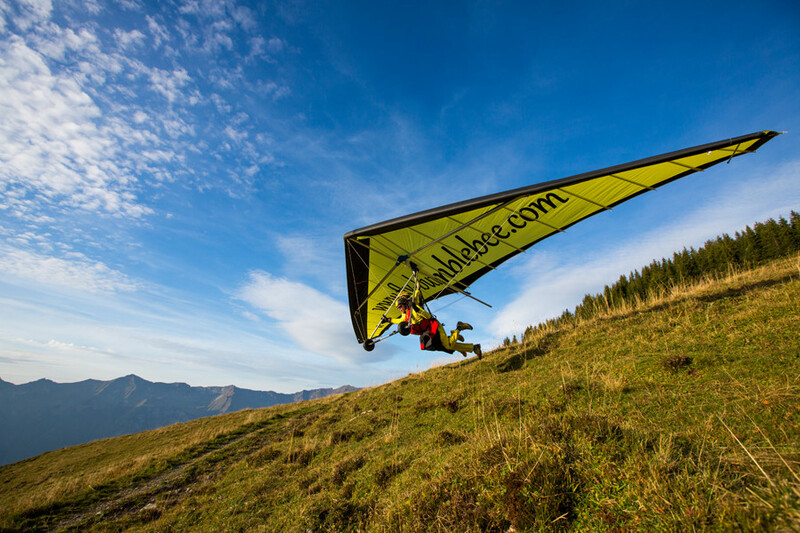 Trekking or gym shoes and a windstopper would be helpful. 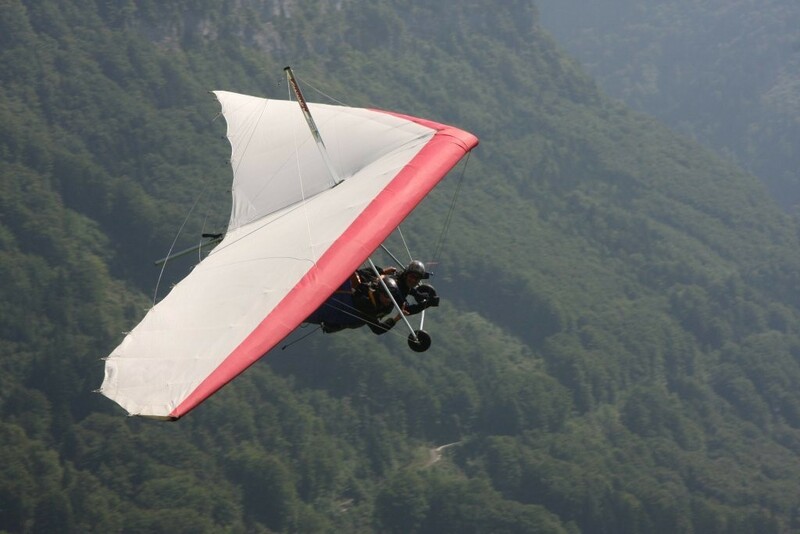 Helmet and gloves will be provided. 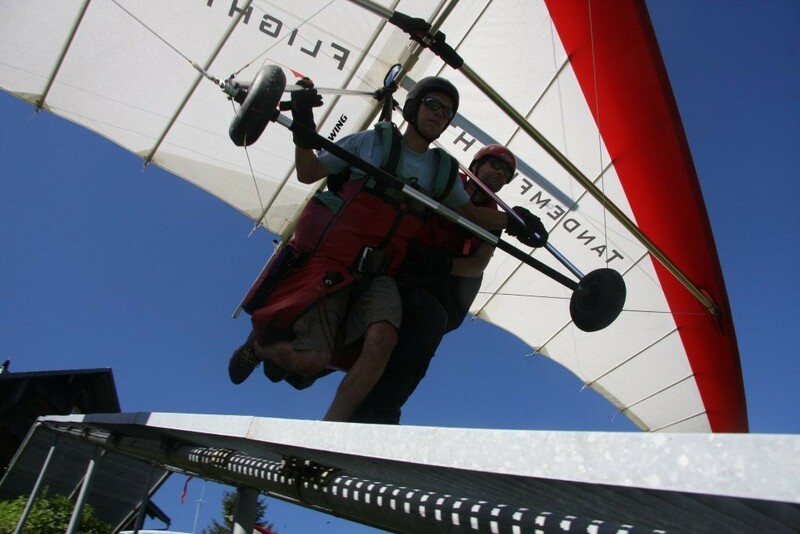 Once at take-off we fit your harness, that is securely attached to the Hang Glider and we have a briefing and a practice run. 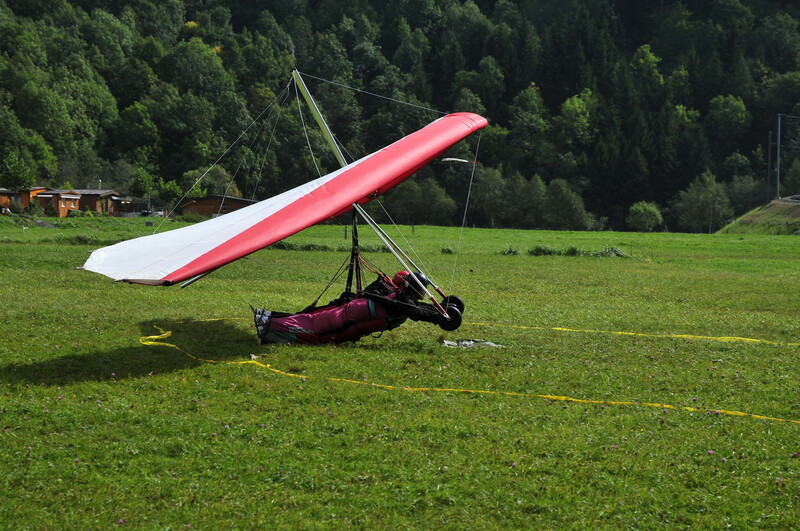 Then we are ready for take-off. 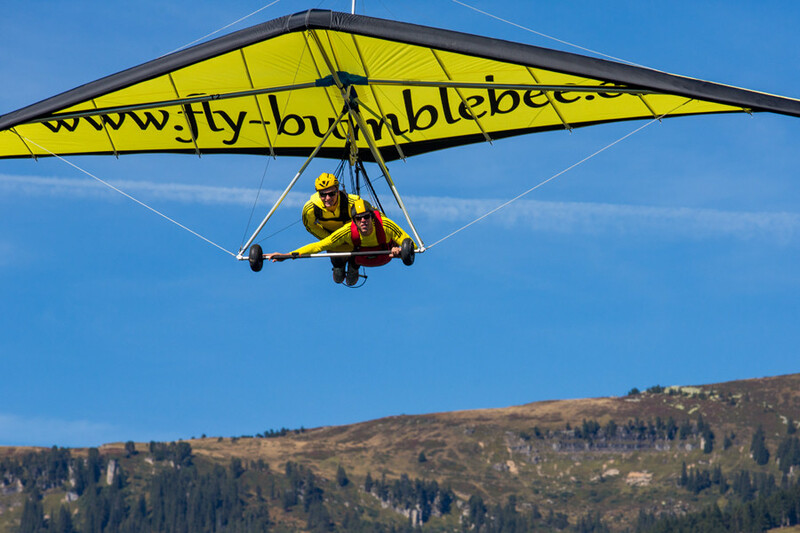 The flights lasts at least 15 minutes and the whole trip takes 1.5 - 2 hours hours from and back to meeting place. 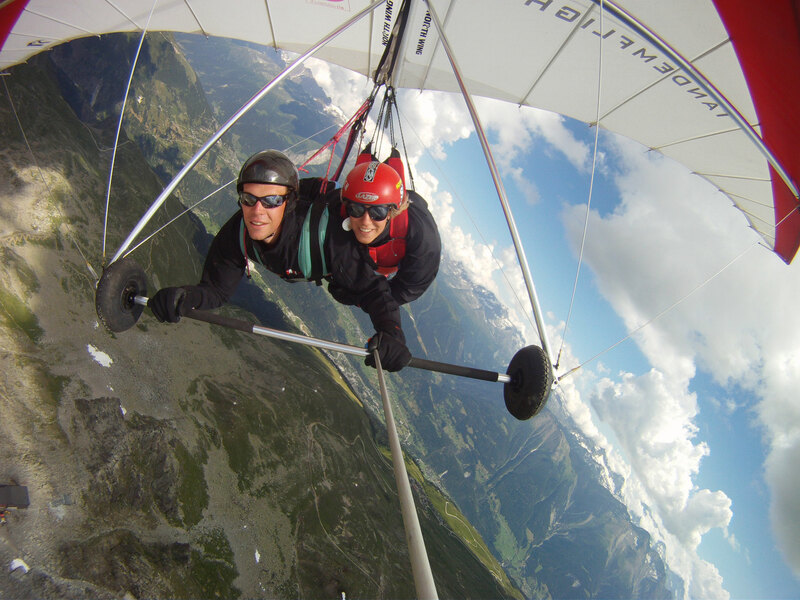 Belalp, a beautiful small Alp in the Swiss Mountains, offers all year round good flying conditions. 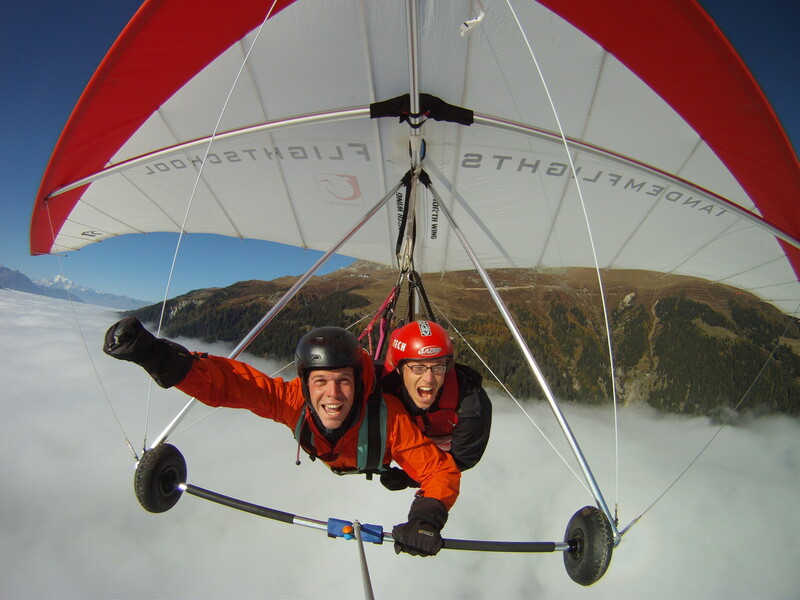 We take off over 6000 feet above sea level and fly past the Aletsch Glacier and over the gorge of Massa. 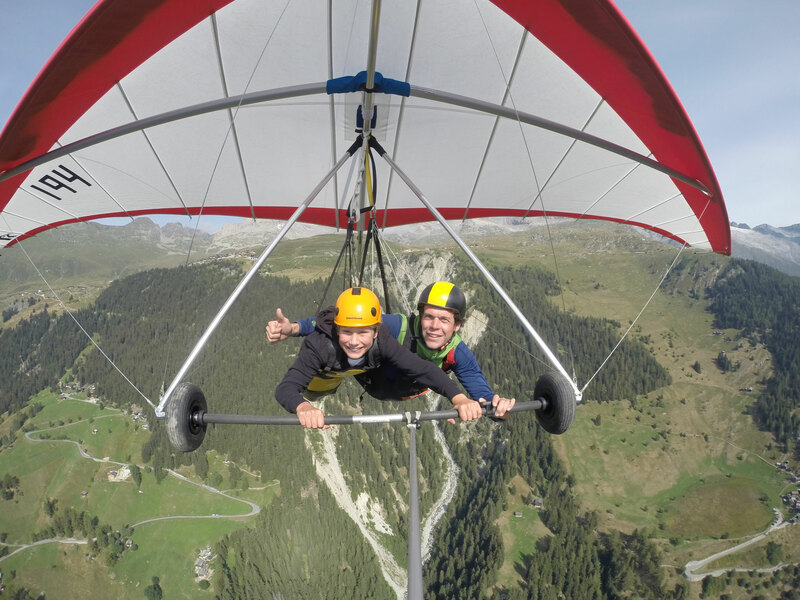 The spectacular views over the highest Swiss Mountains and the speed and dynamics of a Hang Glider will make this experience unforgettable.